Now you don't have to worry about running out of space. In addition to unveiling its new Pixel phones at its big keynote today, Google revealed that its new handsets will come with unlimited cloud storage for full-resolution pictures and videos. That's a big deal if you plan to take advantage of the devices' 4K shooting capabilities and shoot stills at full 12.3-megapixel resolution. It's worth noting that the company already offers something similar with Google Photos, but the current arrangement still doesn't necessarily guarantee images will be saved at their fullest resolution. 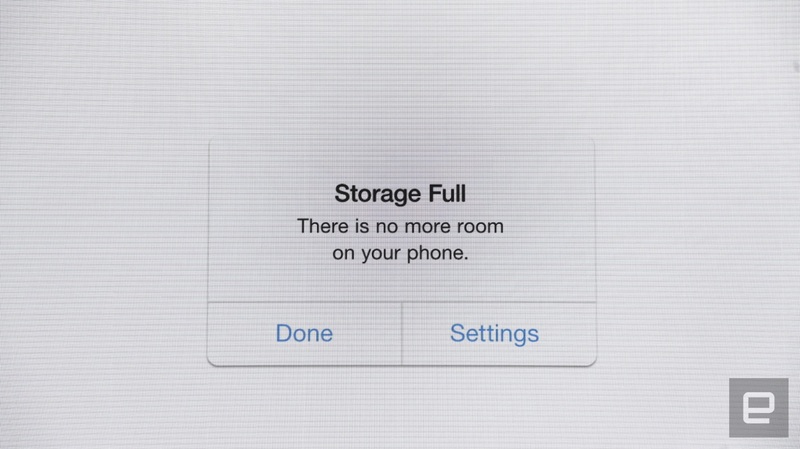 Unsurprisingly, Google took a quick jab at Apple during the announcement, showing a screenshot of the infamous "Storage Full" message you get on iOS when your iPhone has ran out of built-in space. Google's intention, of course, is that you won't have to worry about this if you pick up one of its two Pixel phones.